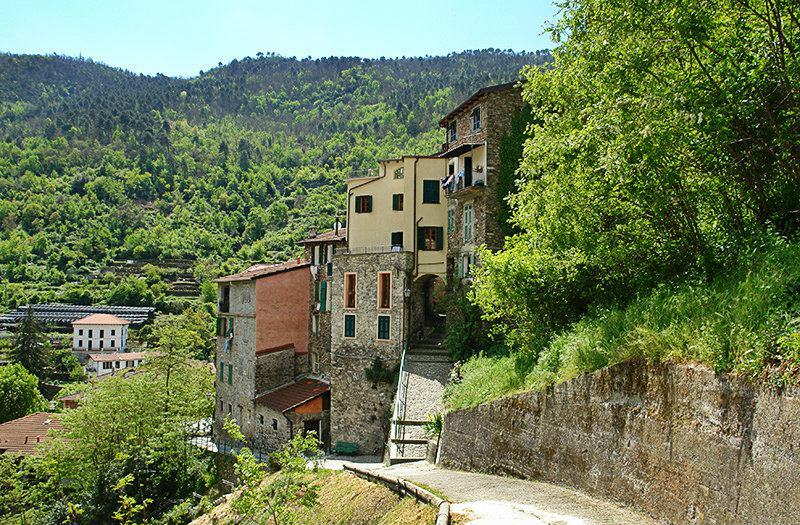 Spend your holidays in one of the most important town of the Nervia Valley in Liguria, Italy. 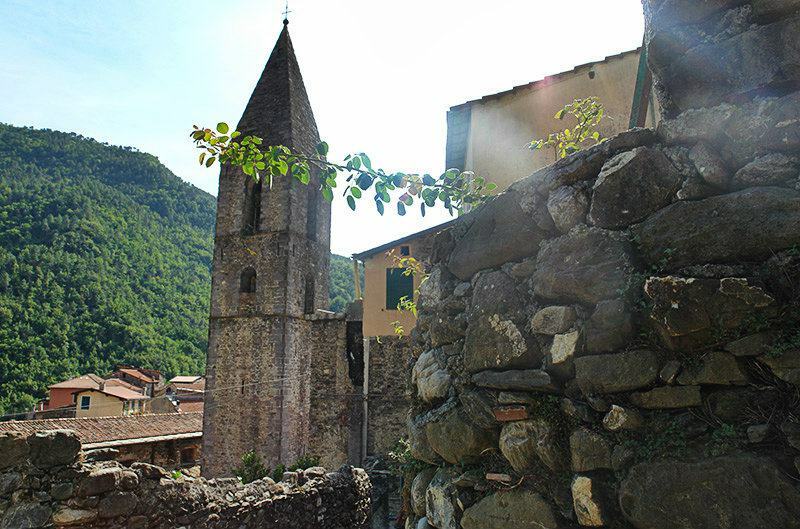 The church of San Tommaso was the largest Romanesque church in the whole valley: all that remains of it are parts of the steep-arched wall and parts of the two apses. There are fifteen chapels lying along the road leading to the church of the Madonna del Passoscio (twelfth century), where you can admire a seventeenth-century painting by Maratta. Another road leads you to the rural district of Buggio (from "bucinos", meaning "calf"). Legend has it that it was founded in the twelfth century by three thieves who had escaped from Provence. Pigna is one of the largest producers of mimosa in the world: the flower is also used for making cosmetics. The typical local dishes are crushed parmesan and lamb chops. 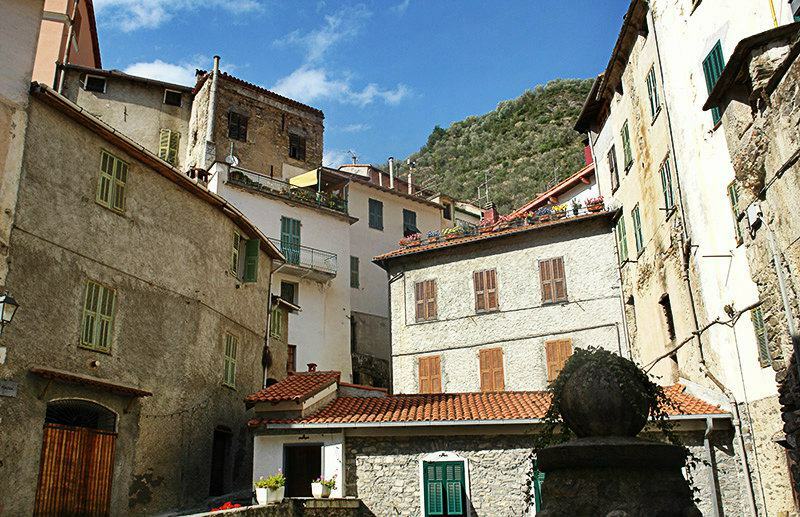 Typical products found in Pigna are: white beans, olive oil and dark bread. Typical local dish: “Gran Pistau”. There are many parking areas in the area. About 200 metres farther from the entrance to town you will see the signpost for parking places. There is one on the left and one on the right hand side. In case you need some information; there is a tourist agency within the locality. Besides, there is a post office and a pharmacy in the area. When you drive into the town, there is a small Alimentari (supermarket) right there on the right-hand side, where you can buy some groceries as well as fresh cheese and sausages. 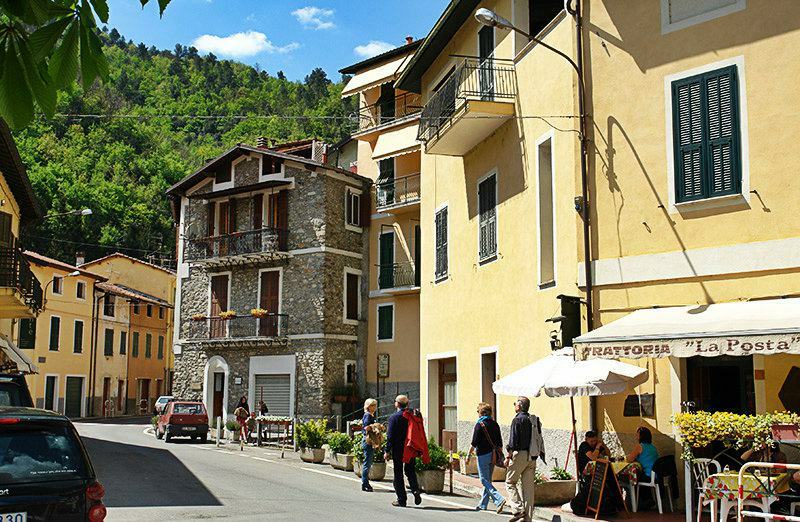 In addition, there is a restaurant and a pizzeria in Pigna. In the local museum you will learn a lot about the traditional life of the farmers in the 19th century. They used to criss-cross the mountains as shepherds and cattle keepers, while the farmers took care of the grain, grape and olive harvest. The cobblers, carpenters, blacksmiths and manual workers worked in their workshops. 24th June: Feast of St. John the Baptist, Patron Saint - venue is Buggio. 29th September: Feast of Saint Michael, Patron Saint. End of September/ Beginning of October: Mushroom festival. 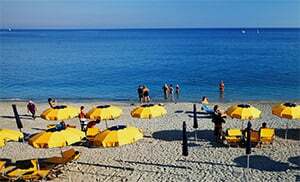 Come and spread restful day on the Theme in Pigna! Prehistoric finds in Marellae, in the Giacheira grotto, and in other places testify to human settlement in the area about 60,000 years ago. From the thirteenth century, the fortified town belonged to the Ventimiglia nobility but it later passed into the hands of the counts of Provence (beginning in the county of Nice) and of Genoa. In the middle of the seventeenth century, it became part of the Savoy estate. The old town area is distinguished by the "chibi", little alleyways that are laid out in concentric circles around the houses. All that remains of the medieval castle is the loggia in Piazza Vecchia, which connected it with the parish church of San Michele (fifteenth century). There is a remarkable rosace on the façade sculpted by Gaggini in 1450 and showing the twelve apostles on the stained glass. Also remarkable is the poliptych in the interior by Giovanni Canavesio (1500), who also painted the cycle of frescoes (1482) showing the Passion of Christ and Judgement Day in the chapel of San Bernardino. 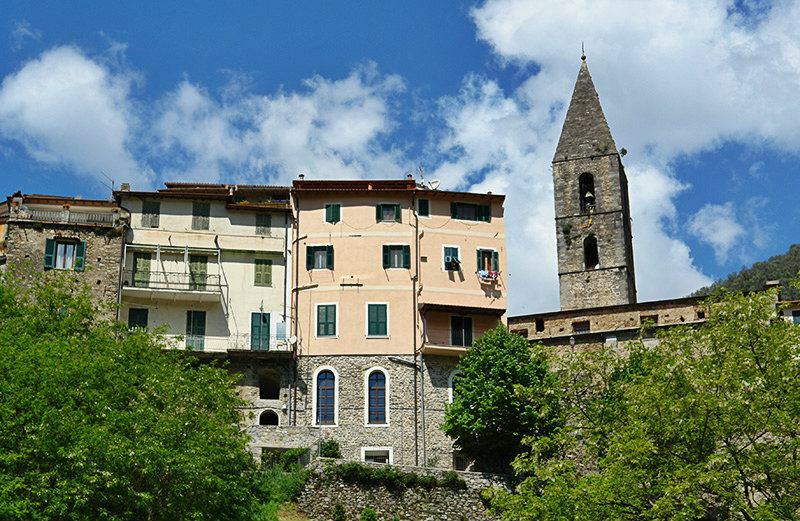 Pigna is one of the villages in the province of Imperia which lies in the Liguria region. 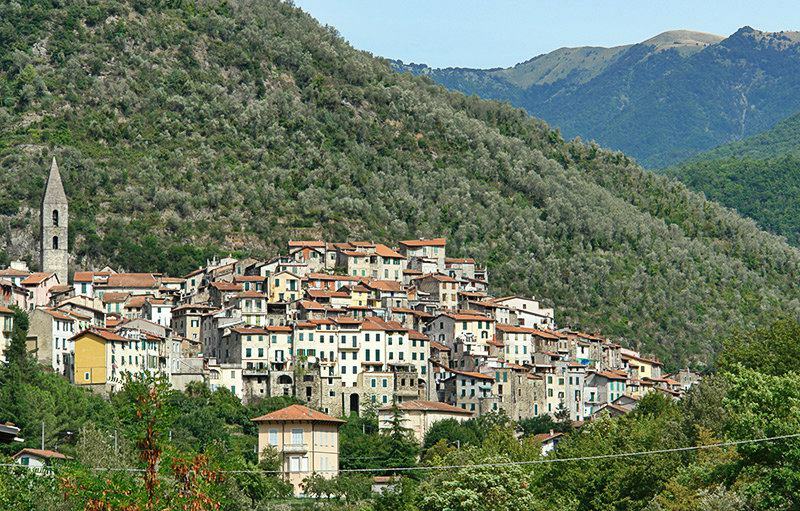 There are several other villages near Pigna for instance: Buggio (5.5 km), Isolabona (8.1 km) und Baiardo (13.6 km). 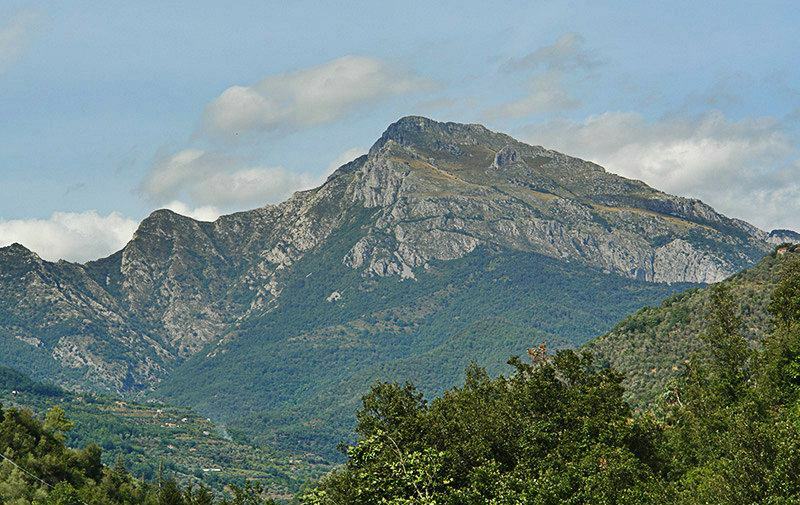 From Ventimiglia, follow the SS1 towards Bordighera until it branches off into the SP64 on the left. 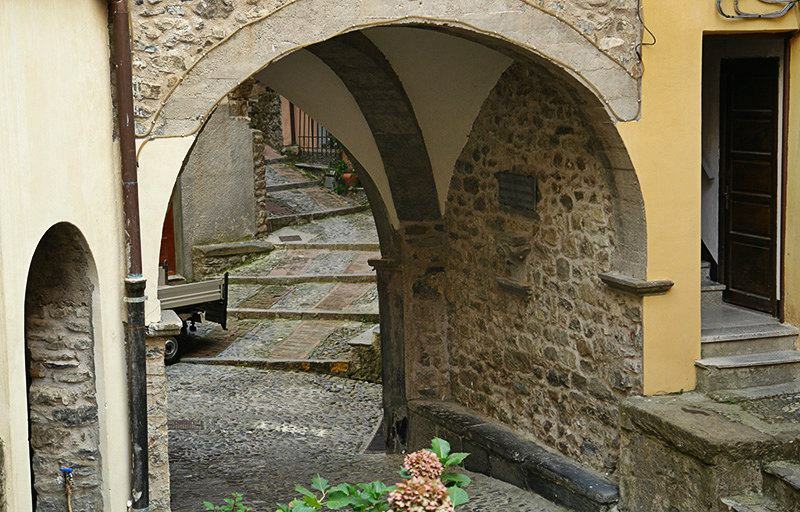 Follow the SP64 past Dolceacqua and Isolabona, until you reach Pigna.